No one likes to be audited. We’re here to help you. IRS audits are not a pleasant experience and it is our job to end the audit with a positive outcome. The firm of Goldman & Co., CPAs is experienced and knowledgeable representing individuals who are being audited by the IRS. Our job is to end the audit quickly and with minimal cost to you. IRS audits simply do not disappear on their own and can worsen with additional penalties and interest if not correctly resolved. IRS audits can be costly and time consuming. If not handle correctly you could owe taxes, penalties, and interest that may have been avoided. We are here to make certain that does not happen to you. Past income tax returns have not been prepared and filed. This is not good. Failing to file your income tax returns can be a criminal offense. We can help you to get current with your income taxes. Do you owe back taxes? IRS tax liens on your home, bank accounts, and wages. OFFERS IN COMPROMISE. Pay a percentage of what is owed. An offer in compromise allows you to settle your IRS and state taxes for less than the full amount. PAYMENT PLANS. If you’re financially unable to pay your taxes you can request an installment agreement and make monthly payments. INNOCENT SPOUSE RELIEF. Provides relief to you if your spouse or former spouse failed to properly report their income, deductions or credits. BANKRUPTCY. Some IRS and state taxes may be dischargeable in bankruptcy. Nothing is more unsettling than an IRS audit. IRS audits are time consuming and require knowledge of the IRS Tax Code and Regulations. Worse yet they can be expensive. Good results require knowledge and experience. 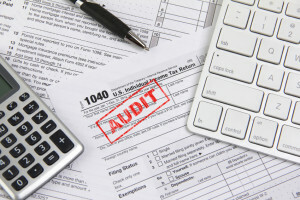 Let the experienced tax professionals at Goldman & Co., CPAs handle your IRS audit examination. We will handle it all for you. We will meet with the IRS agent, organize and gather all needed information, and resolve all outstanding issues. No time off from your work or place of business. Our aim is to resolve the audit expeditiously and with minimal or no cost to you.